The Rajputana, Udaipur Helsinki- A Few Stolen Moments! I hope you will give it a try Pradip. Lovely narration of your wonderful underwater experience . Great Mridula ! you’re a brave lady ..:-D.. I want to go to the Maldives so bad! I’d have to look up flights from Goa but I can’t imagine it being too expensive. 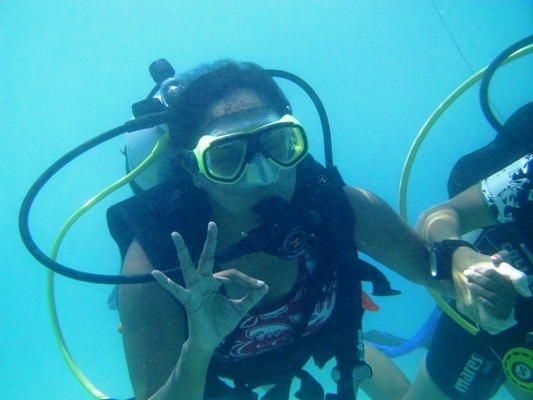 I’ve dived only once in Greece and really enjoyed it so would definitely go again here. Glad you had fun! Flights from Kochi might work out cheaper, just give it a try. I loved Maldives, I would highly recommend it. Yes Indrani, it is worth it. Do try Amit, it just takes a little getting used to and the views can be incredible. Lovely! I have heard that Andaman is equally good.. have you been there? 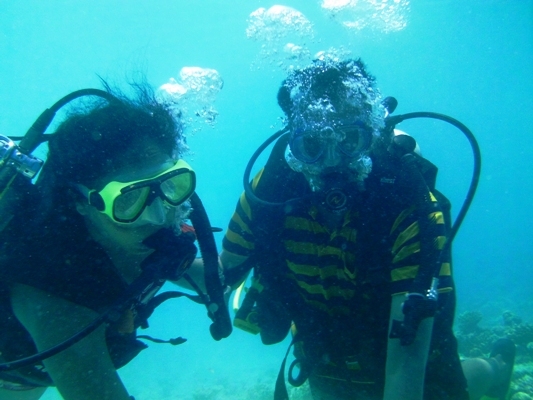 I have been to Andaman Seeta in 2011, that is where I dived first. My personal preference would be Maldives. The airfare to Male and Port Blair from Delhi were the same when I searched.